The World Championships in Bench Press in Rødby, Denmark saw some remarkable results. Fredrik Smulter´s stunning 400 kg bench press has been added to the record registry, along with Calle Nilsson´s new sub-junior World record and new Nordic records by Gestsson, Fransson, Vikla, Riis, Christensen, Rames, Vilmar and Lönn. 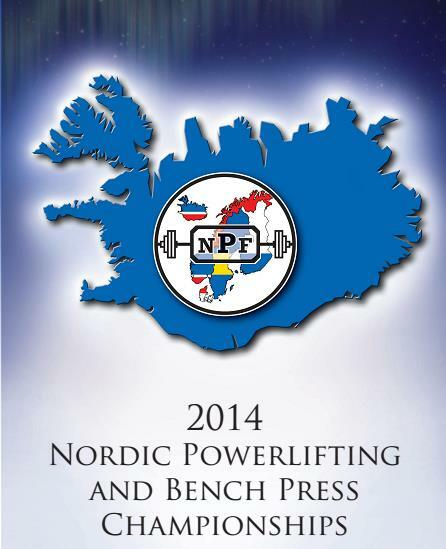 The Open Nordic Championships in powerlifting and bench press will take place in Reykjanesbæ in Iceland on August 22nd and 23rd. The biannual NPF congress will take place on August 21st. Please book your hotel rooms as soon as possible and note the advantages of prepayment. The organizer, the local club Massi, will endevour to make the meet and your stay in Iceland a positive and memorable experience. The Registry of Nordic records is starting to look more and more like the Registry of World records! The Registry has been updated with amazing new records by Christensen, Rølvåg, Walgermo, Bakkelund, Elverum and Juvet Hugdal.